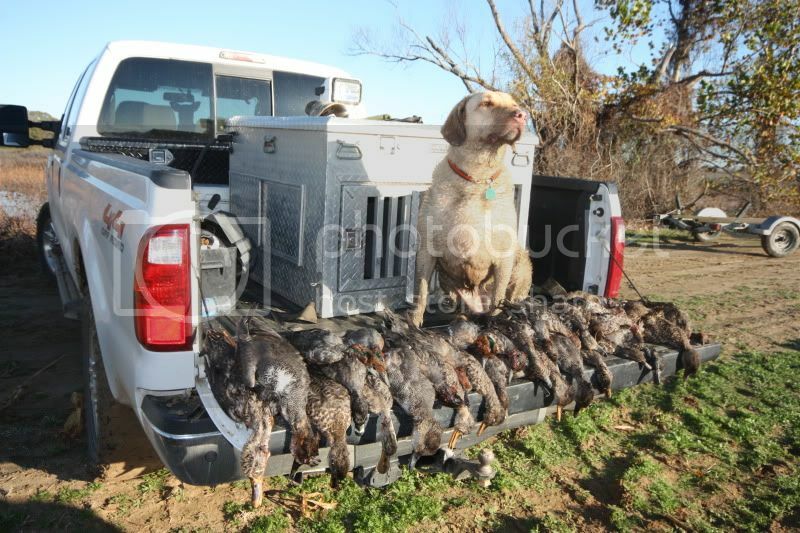 Canton got out of the boat when the first 2 ducks died and didn't get back in the boat until we packed up and left. She was retrieving the whole hunt. She did great! 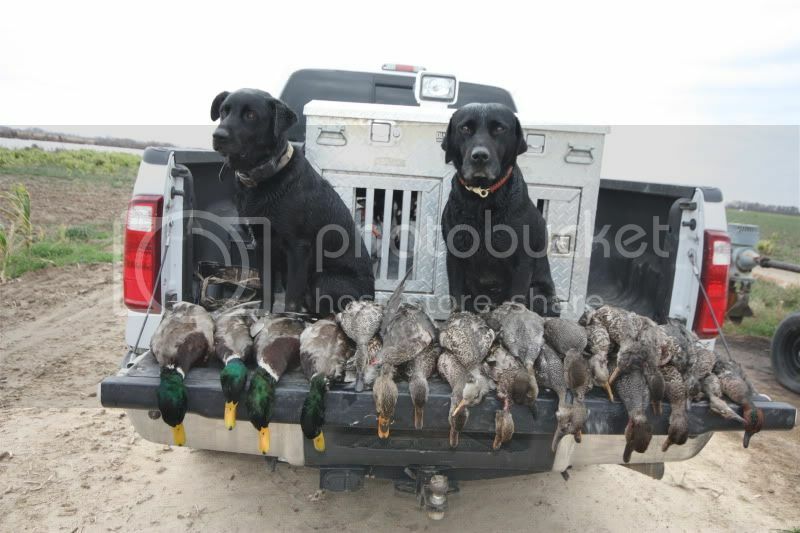 Saturday morning we shot a 4 man limit by 7:00. Had my a friends dog "Buddy" and my dog Buck with us this morning. 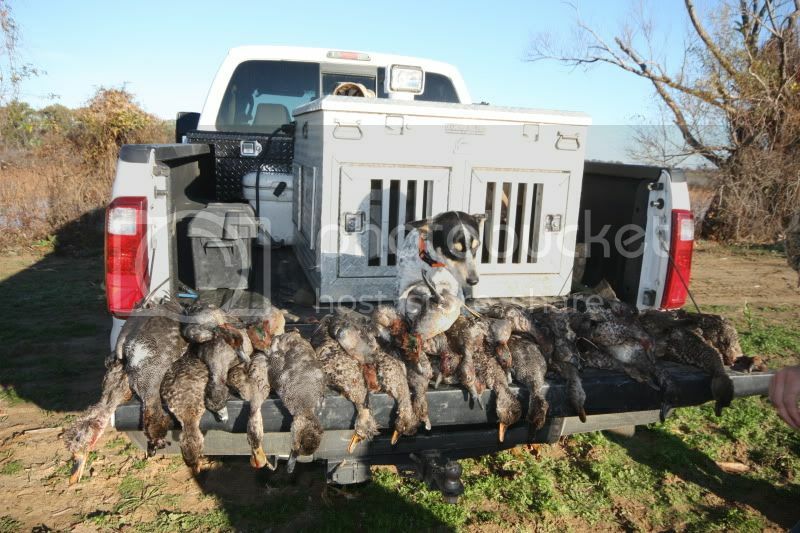 My new mutt "Spook" got in on all the kill pictures too if you look closely! It's like a Where's Waldo book! Shot 16 Sunday afternoon, I slept in Sunday morning with intentions of going mid morning, ended up going that afternoon when the rain let up a little bit. Didn't take pics Sunday because it started pouring down rain when we got done hunting. Pretty nasty day but we ended up with a good weekend! 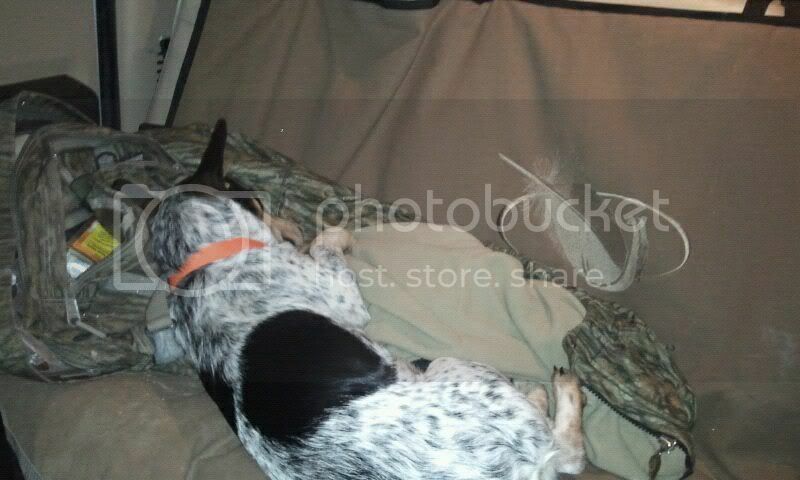 Long weekend wore Ol Spook out!